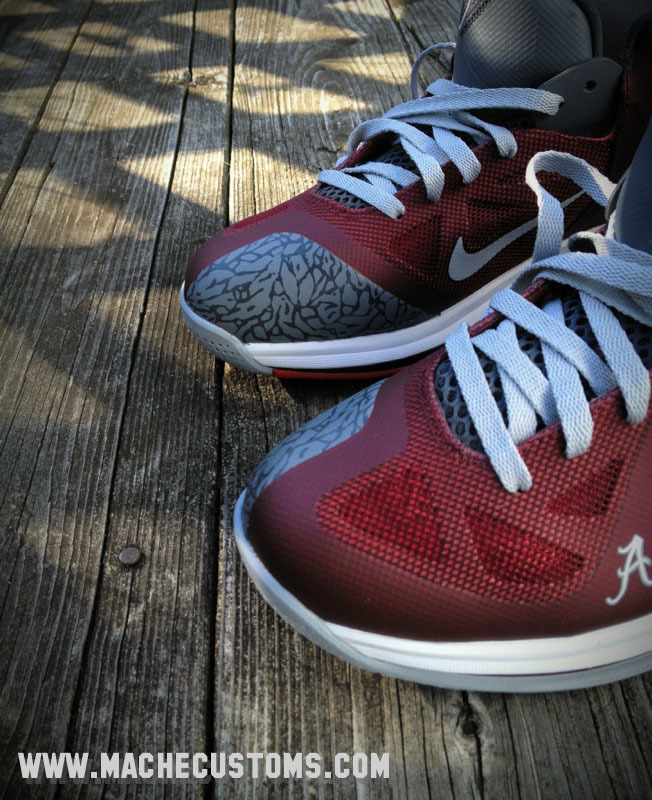 Per the request of a fan, Mache recently produced this Alabama Crimson Tide-inspired Nike LeBron 9 Low. 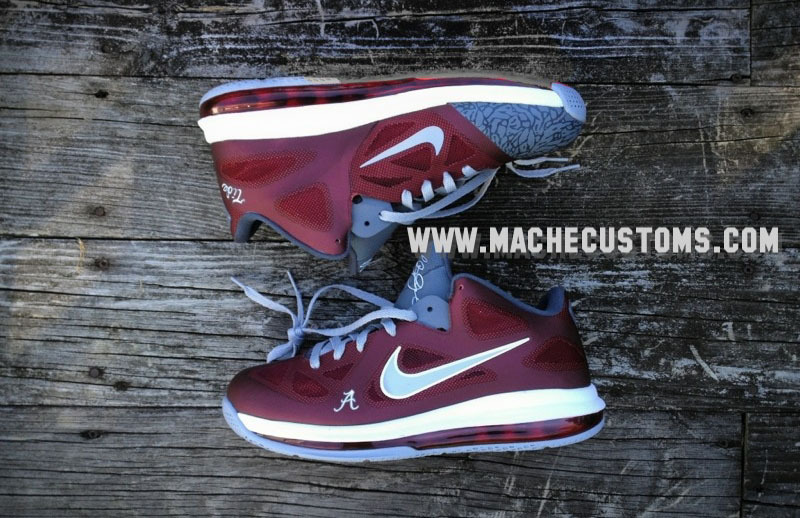 Per the request of a fan, Mache recently produced this Alabama Crimson Tide-inspired Nike LeBron 9 Low. 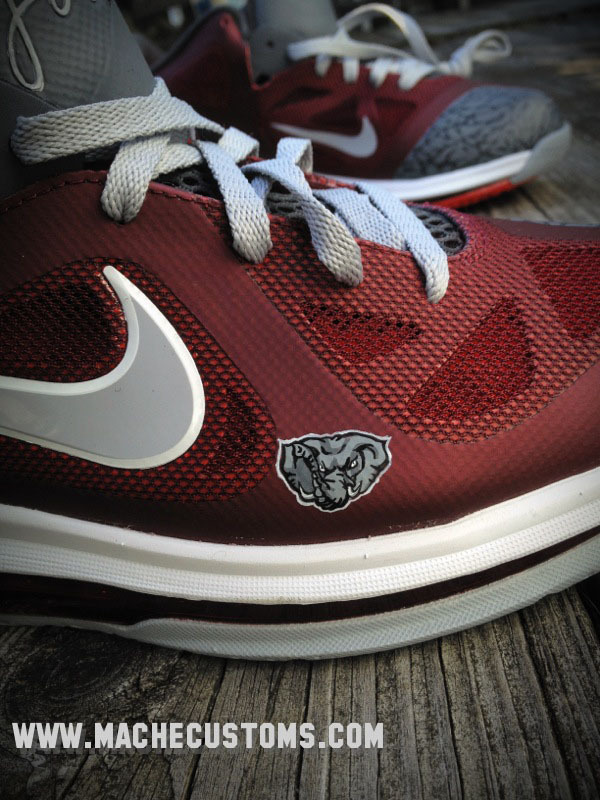 Grey accents were added to the "Team Red" colorway, including elephant print detailed toecaps to resemble the team's mascot, Big Al. 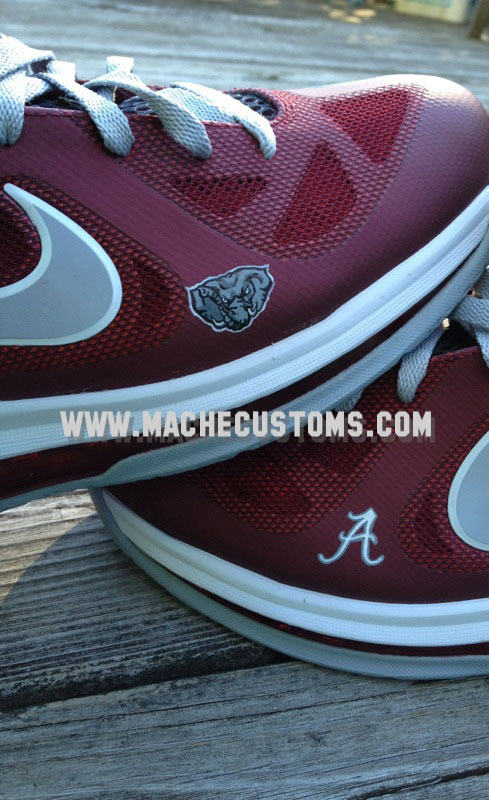 Mache applied smaller team logos near the forefoot of each shoe to avoid making them the focal point. 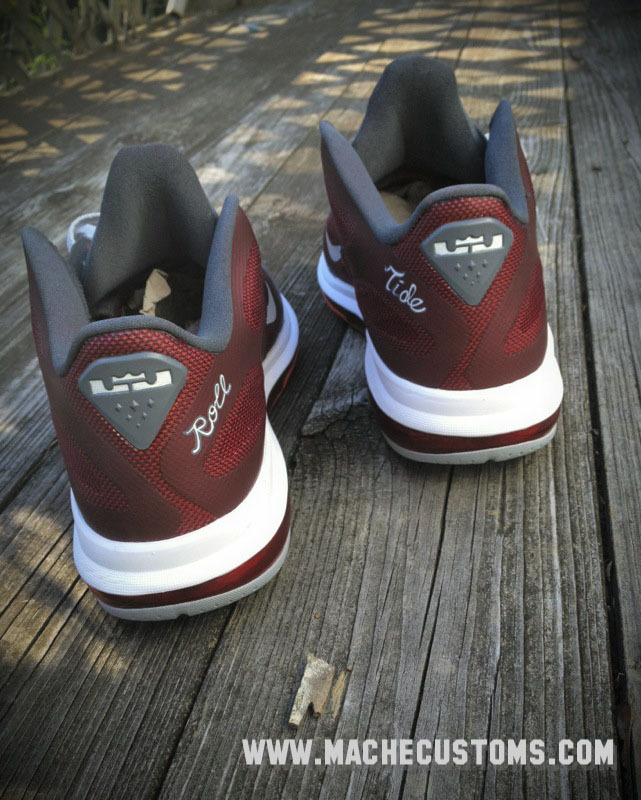 The rally cry "Roll Tide" runs along the medial heels. 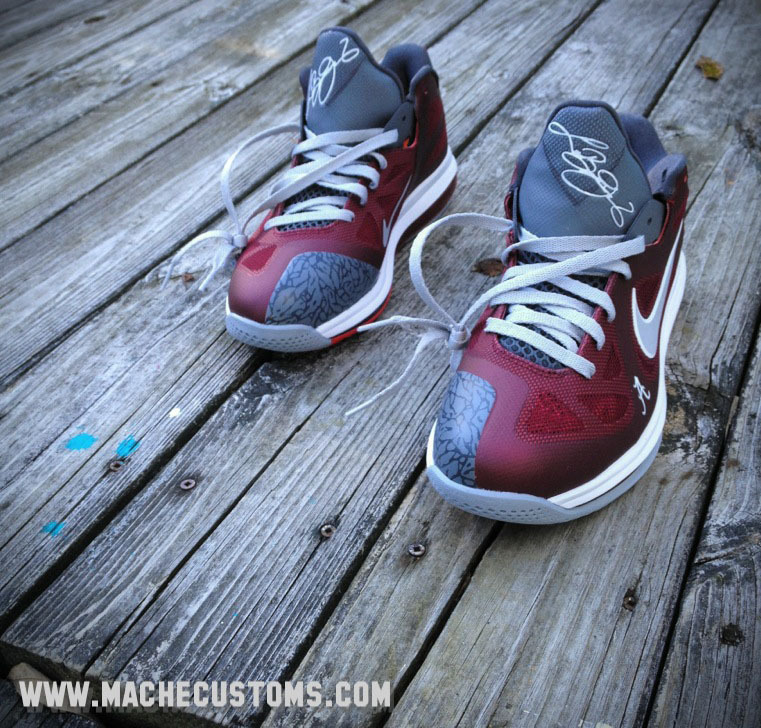 If you'd like to place and order for a custom pair of sneakers representing your favorite team, you can reach Mache through the contact page at machecustoms.com or @MACHE275 on Twitter.